[132 Pages Report] Laminated Glass Market size was valued at USD 16.23 Billion in 2016 and is projected to reach USD 23.04 Billion by 2022, at a CAGR of 6.02% from 2017 to 2022. The base year considered for the study is 2016, and the forecast period is from 2017 to 2022. The ecosystem of the laminated glass market comprises manufacturers of laminated glass, such as AGC (Japan), Saint-Gobain (France), Nippon Sheet Glass (Japan), Sisecam (Turkey), Taiwan Glass (Taiwan), Guardian (US), CSG Holdings (China), Fuyao Glass (China), Central Glass (Japan), and Xinyi Glass (Hong Kong). 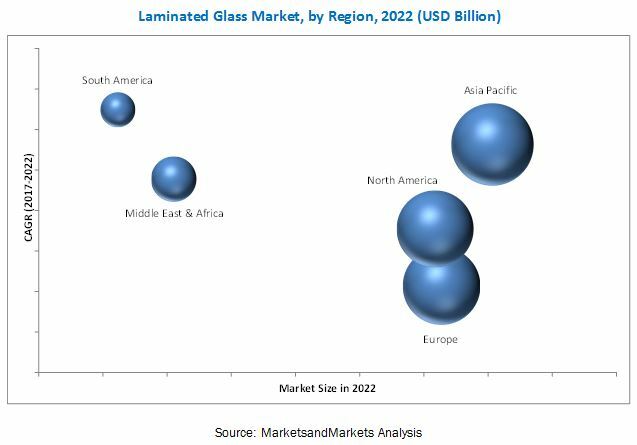 The laminated glass market is projected to reach USD 23.04 Billion by 2022, at a CAGR of 6.02% from 2017 to 2022. The growing demand from the building & construction industry is expected to drive the laminated glass market. Based on end-use industry, the building & construction industry is estimated to witness a higher growth than the automotive industry between 2017 and 2022. The growth in building & construction industry can be attributed to the growing construction industry worldwide, especially in emerging regions. In addition to this, growing investments by governments of various countries around the globe in infrastructural development projects such as airports, and public transit systems is driving the demand for laminated glass. 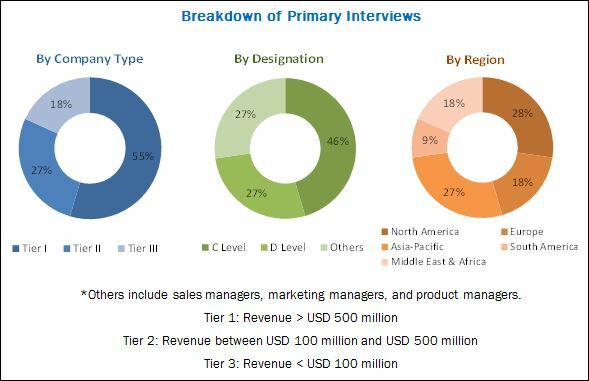 The laminated glass market has been segmented based on interlayer into polyvinyl butyral, ionoplast polymer, and others. The polyvinyl butyral interlayer segment dominated the market in 2016, in terms of volume, owing to the adhesive properties, strong binding power, and excellent transparency of polyvinyl butyral. The ionoplast polymer interlayer is projected to witness the highest growth between 2017 and 2022. There has been an increasing demand for ionoplast polymer from the building & construction industry, as it provides more strength, safety, durability, toughness, and stiffness than other interlayers. These properties are essential for protection against storms, large impacts, and powerful blasts. Asia-Pacific dominated the laminated glass market in 2016, in terms of value. Growing population, rapid urbanization, and rising disposable income of consumers in emerging economies such as China, and India are contributing to the growth of the laminated glass market in this region. The presence of major laminated glass manufacturers, such as AGC (Japan), Nippon Sheet Glass (Japan), and Central Glass (Japan), among others is expected to further support the growth of the market in Asia-Pacific. Although the laminated glass market is expected to witness significant growth in the coming years, the rising prices of raw materials used for the manufacturing glass can act as a restraint for the market growth. Companies are focusing on strengthening their position in the laminated glass market through expansions, acquisitions, and joint ventures. Major players active in the market include AGC (Japan), Saint-Gobain (France), Nippon Sheet Glass (Japan), Sisecam (Turkey), Taiwan Glass (Taiwan), Guardian (US), CSG Holdings (China), Fuyao Glass (China), Central Glass (Japan), and Xinyi Glass (Hong Kong). 10.5 Taiwan Glass Ind. Corp.
10.7 Central Glass Co., Ltd.
10.9 CSG Holdings Co., Ltd.
10.10 Fuyao Glass Industry Group Co., Ltd.
10.11.2 Vitro, S.A.B De C.V.
10.11.6 Shandong Yaohua Glass Co., Ltd.
10.11.10 Shanghai Yaohua Pilkington Glass Group Co., Ltd.
10.11.11 China Luoyang Float Glass Group Co., Ltd.
10.11.13 Flat Glass Group Co., Ltd.